Is PayKickStart the best Shopping Cart Software for your company? This Review will teach you everything there is to know about PayKickStart Shopping Cart and whether it’s the right choice for your business. The EntrepreneursGateway.com Team have pulled out all stops to produce this Definitive Review. How does the PayKickStart system stack up against other shopping cart platforms? What are the Pros and Cons and who should be using it? Will the EntrepreneursGateway.com’s Award as being the best Shopping Cart Platform on the Market go to PayKickStart? If you’re looking for a shopping cart platform then you’ll love this review! Well, we have tested it to the MAX! PayKickStart does what it says on the tin if you are looking for shopping cart software that allows you to sell your own products; has a whole host of integrations and includes an affiliate program then PayKickstart could be exactly what you have been looking for. Compared to some of its competitors, PayKickStart does come in as more expensive. However, once you begin to sell online, you will then realize that for all the features that are included, the price is actually very reasonable. PayKickStart is not the most intuitive of platforms, which I think is down to the number of functions that they have. Fortunately, their support desk is fast and efficient which means you won’t be slowed down for long. PayKickStart offered poor UI which meant that you had to refer far too often to the knowledge base. It did, however, offer fast email responses and live chat throughout business hours and has an official FB group. PayKickStart was founded by Matt Thompson and Matt Cullen in 2014 and has grown into a very proficient affiliate management and shopping cart platform. It is a fully functional web-based shopping cart that includes affiliate software to help you successfully sell both physical and digital products online. In this review, I will take a long hard look at where PayKickStart is today as well as looking at the features and benefits that this shopping cart software offers so that you have a better understanding of how it works and whether it is the perfect choice for both you and your business. Sound good? Great, let’s go…. I will put PayKickStart through our rigorous testing and will look at the following aspects. Performance: Will your conversions be boosted by using PayKickStart and what features do they offer to help you make more money? Usability – Does PayKickStart offer everything necessary that users expect from a shopping cart? Support: Does PayKickStart offer quick customer support solutions and help, and can you count on them when it matters most? Cost – Does PayKickStart offer the best pricing in the marketplace? AND more importantly, what deals are available that can help you save money? Includes numerous payment processors such as PayPal and Stripe and more. Both free and paid trials are available. Subscriptions and payment plans are supported. Coupons and discounts can be added (and applied to rebills). Superb selection of customizable checkout templates. Option to use PayKickStart’s (advanced) funnel builder. One-click upsells, and bump offers. Marketing portal that can host banners, contests, and email swipes. Loads of native integrations together with Zapier support. Live chat support (in-app and business hours). Apple Pay or cryptocurrency is not supported. No capability at checkout to offer a ‘Pay What You Want’ option. The user interface can be confusing. PayKickStart is by far one of the fastest affiliate and shopping cart software’s available on today’s market for selling online products. You can sell both physical and digital products as recurring subscriptions, one-offs, split payments, free/paid trials and loads more. PayKickStart also includes other extras including conversion boosters which are built in including subscription saver sequences, 1-click upsells, coupon codes, order bumps and more. It also includes integrated affiliate management which features W9/W8 tax management, instant/delayed commissions and marketing materials to name but a few. Now, if that wasn’t enough, PayKickStart includes zero per-transaction fees, yay!! AND is GDPR compliant too!! PayKickStart offers great benefits to those who are looking for a super slick marketplace - where others can be encouraged to sell on your behalf AND where you can track everyone’s progress – all from one place. So, as I said previously PayKickStart is not the most intuitive of platforms, so, I thought I would show you what the dashboard looks like when you first log-in. Not too shabby, but I did feel slightly overwhelmed by the bulging sidebar containing the navigations items. A welcome video from no other than Mark Thompson, which talked me through the basics on getting started. It covered everything from connecting a payment gateway, creating funnels and adding products. Now, I’ll be honest; this was a real life saver because without it I’m pretty sure I would have struggled. I included this in my review, as I thought that it was a really important feature and something that future users should be made aware of. Nice one PayKickStart!! So, without further ado, let’s move onto our first ‘must have’ which is payment collection, shall we? For those of you who don’t already know what a payment gateway is, it is a third-party company that oversees the handling of the transaction when a customer purchases a product. 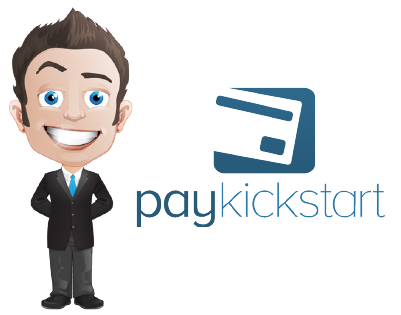 In this section, I will cover what payment collection methods PayKickStart offers, who they integrate with and how you can hook them up. Let’s dive in, ok? PayKickStart manages everything – until a customer submits their payment details. Unless they are paying via wire transfer or offline, then this is where a payment gateway is required. Popular payment gateways today are Braintree, PayPal, and Stripe – which can be all hooked up by using the ‘integrations’ menu. Keep in mind though, that different shopping carts will no doubt offer different integrations for payment gateways. For example, if you used Authorize.net, you would have to ensure that your shopping cart does support it. But don’t worry, there is good news…. Those of you that are tech-savvy may be left disappointed by the absence of more advanced payment integrations such as Android and Apple pay as well as cryptocurrency. As far as I know, they are apparently in the ‘pipeline’ but how long is a piece of string? Another added bonus is that because PayKickStart supports EasyPayDirect, Authorize.net, Braintree, and Stripe you don’t have the stress of creating a new merchant account if you choose to use PayKickStart. Checkout pages play a huge role in digital marketing, more than some marketers give them credit for. It is so easy to ‘lose’ visitors between making an actual purchase and the product selection itself. Plus, if the checkout process is not easy to use then, this can cause people to leave the site. In this section you will learn how to create and customize a checkout page for your product, to ensure that you maximize your prospect conversions. Sometimes, potential customers aren’t sure if they really want to buy something – they get mixed feelings. It could be that they do want the product but aren’t completely committed to spending the necessary money. If this situation has a poor checkout page or one that looks unprofessional, this will no doubt kill the sale. What PayKickStart does is ensures that you offer a checkout solution that is simple to implement while at the same time blending in with your brand. It includes both 5 multi-step and 12 single step templates, from which images can be edited along with text and colors etc. Custom fields can even be added to the checkout page, or if you prefer, you can use their popup widgets or embed forms directly onto your website. Another possibility would be to create a bespoke checkout solution from the beginning using their API. Now, you’re probably thinking ‘well, which one is better’? The truth is until you have tested them, the answer remains unknown. You will have to do any A/B testing manually as PayKickStart doesn’t support it. Anyhow, let’s get back to the templates… they were super modern, well designed and user-friendly. Plus, when you reach the final step, you can select which integrations you want to use with your product – this is super useful for those who are using webinar or email platforms. From my experience, the product and campaign creation process offered shed loads of flexibility in the settings – something that I found very impressive. Another great feature that I felt I had to include was PayKickStart’s built-in ‘simply tax profiles.’ This allows you to set up both vendor or buyer location based taxes and even includes prebuilt profiles for Canada, the EU, and the US. The icing on the cake though is PayKickStarts integration with Taxamo which means that tax can be accurately calculated at the time of checkout as well as be used to generate tax reports etc. In today’s world, there are many ways in which you can communicate with your customers. You may choose to keep them up to date with your products via social media pages, email or via a blog. What’s really convenient is to have the capability to pre-sell to them via one platform, then directly send them to a high conversion check out page. In this section, we will look at what features PayKickStart has to offer to ensure that your customer conversion rates and revenue are fully maximized. Let’s see how PayKickStart’s performance was, ok? Fact – having 1-click upsell support will ensure that you make lots more money. If you enable 1-click upsells then when your customer has bought an offer from your ‘front end’, any other purchases within your funnel are automatically processed, meaning that they don’t have to fill out another checkout page form. To make things easier and for the purpose of this review, I have listed PayKickStart’s features with a brief description of what they do. A checkout process that only includes a one-click functionality can be super-efficient, as it means that customers only need enter their billing details once. This can be done with both PayPal purchases and credit cards. This is huge as it helps to deliver a 40% increase in sales and conversions. To enable this scale of functionality, most other shopping carts require custom development or even plug in – guess what? With PayKickStart this comes as standard. The purpose of PayKickStart was to offer complete payment flexibility, to have the capability to accept recurring or one-time subscriptions and also to be able to upgrade/downgrade a customer’s existing plan/subscription. With PayKickStart you can control what features you want and need. Do you want your customers to try before they buy? Do you want to create paid or free time sensitive trials, or maybe allow customers to pay in installments? By using PayKickStart’s payment plan feature, you can break down payments into any structure you want. You could even offer billing periods that are flexible with weekly, monthly or yearly custom intervals. Because PayKickstart integrates with the top, most trusted third-party processors – each one is 100% ECI compliant. What I love though is that PayKickStart doesn’t charge per transaction fees – the only one being from the payment processor – which means that you get to keep more muller in your pocket!! What on-page checkout widgets do, is provide your customers with a beautiful and seamless checkout experience. By using PayKickStart’s online checkout widgets, customers can buy your product, without being moved from the page they are on. If you want to use this feature, simply select one of the customizable widgets, select the checkout process (one or multi-step) then just add in the embed code to the image or buy button – simples!! Now, when your customer clicks onto ‘buy,’ the checkout widget will be displayed which will allow them to make the purchase without the hassle of leaving the page. This particular process has proved to increase conversions up to 50%. PayKickStart offers free mobile apps for both iOS and Android devices which mean both affiliates and vendors can manage their accounts anytime and anywhere. Vendors can easily keep track of their performance and sales activity, affiliate sales or even affiliate requests – all with a finger swipe. Affiliates can easily access their performance and sales and see how their promotions are converting. By including a coupon code directly onto your checkout page URL, you can quickly and easily create, then promote unique or special offers within minutes. This is a great conversion boost, as everyone loves a bargain, don’t they? One of the most powerful marketing strategies is to recruit an ‘affiliate army’ who will then go out and sell your products. What makes affiliates different from other forms of advertising is that they operate a pay-on-results model, which means there is little to lose and all to gain. This is something the PayKickStart team knows, which explains why they have an affiliate center within the platform. Now, I thought that I would be able to add affiliates by clicking into this menu item. Wrong!! This was definitely the most confusing aspect I came across when using PayKickStart. Fortunately, I clicked on to the live chat and was then swiftly told that affiliates couldn’t be added manually, instead, the application is via a request link. The fog then cleared, of course, once you know, it all makes perfect sense, but PayKickStart, you could have made it clearer from the beginning!! By sharing the link with a budding affiliate, they will then be signed up under your campaign; then when approval has been given, they will be allocated their own PayKickStart account area. They will also be able to take their exclusive tracking link for each specific product together with a portal for other marketing materials that you may choose to provide, such as email swipes (in embed code format) or promotional banners. Another PayKickStart feature that I haven’t come across with other shopping cart software is the capability to rate affiliate contests. Now, if you do this right, these contests really can get your affiliates eager to promote for you. To activate this, go to the ‘contest tab>+’button.’ You will then be asked to fill out your contests name and the contests date range. Once completed you will have access to an ‘Affiliate Contest widget’ which can be embedded on your site on any page – this automatically updates in real time when your affiliate begins marking sales. I must say that I was very impressed with PayKickStart’s affiliate center options. Many entrepreneurs these days that I meet have fought hard and long to create stacks of technology that fits their needs. I’ve tested numerous tools across loads of sectors of online marketing and know how annoying it is to fall in love with a tool, then discover that it doesn’t reciprocate with your current stack. This section will cover what integrations PayKickStart offers to help you decided if it could be compatible with your stack. So, PayKickStart offers four different integration types: email marketing, payment, membership, and fulfillment. Payment integration has previously been covered in the review, but PayKickStart also integrates beautifully with most popular email marketing tools. The only one that I noticed was missing was MailerLite. Some businesses want the ability for customers to be added to the membership programme once they have made a purchase – this is no problem with PayKickStart because it integrates with all the main membership services including Kajabi, Teachable, and MemberMouse. If you are a seller that ships physical products, then you may wish to integrate with a 3rd party fulfillment service. Well, at the moment PayKickStart does integrate with ShipOffers and ShipStation. If you want to add your buyers to your email marketing service to help with future follow-ups, then just connect the email marketing service to one of PayKickStarts 16 trusted partners, then simply add customers and prospects to your list. If you want to add new customers automatically to upcoming webinars, just connect your current webinar service to PayKickStart then each customer will then be added to the specified upcoming webinar. PayKickStart continues to add extra integrations with other 3rd party services, so that managing your online business remains simple, all from inside the belly of PayKickStart. Even with 500+ integrations, if you still can’t find the one you want, then look no further than Zapier. With the PayKickStart and Zapier integration, you will have the ability to unlock and connect to hundreds of 3rd party services. If you have a customized feature that needs integrating with PayKickstart, don’t panic. They have a complete API together with documentation that really helps developers deal with all types of custom integration. To completely ensure stack compatibility you need to be able to integrate PayKickStart with the apps that you love and use every day. This is why they have integrated with some of the most-used web-based apps available, including payment processors such as Stripe, PayPal, Authorize.net and Braintree, email marketing service such as Get Response, AWeber, MailChimp, ActiveCampaign, ConstantContact, Icontact, OntraPort, Innerspire, Send Link, Infusionsoft, and Send Reach and membership platforms including Fresh Member, Wishlist Member, Kajabi, Amember and Member Mounts. Keep an eye open though because PayKickStart is always adding to their list of integrations. Great support can really make or the break any business and is something that must be heavily considered when reviewing products. Don’t be caught out of choosing what you feel could be the best shopping cart in the market, then when something goes wrong, suddenly finding out that you would have more chance of flying to the moon than getting any response from the support representatives. So, keeping this in mind, let’s find out if PayKickStart support is super-duper, super or just duper (is that really a word!!). 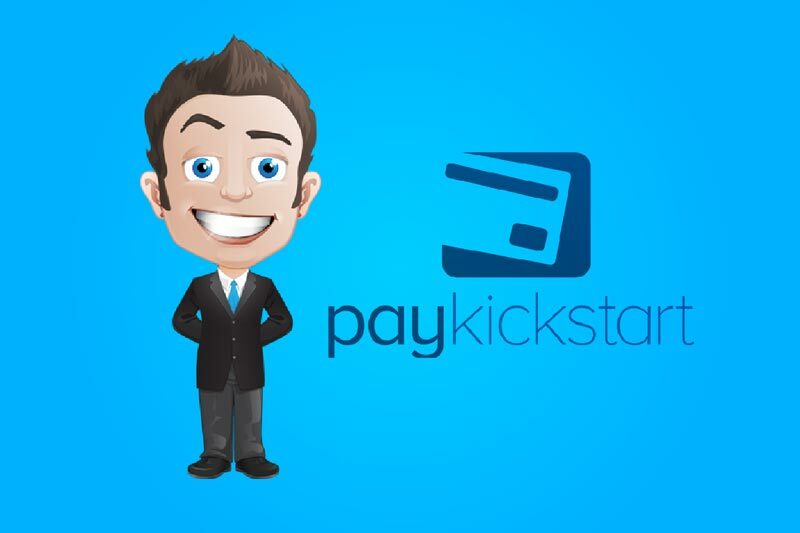 Now, as you’ve probably noticed, I have mentioned on more than a few occasions throughout this review, that PayKickStart isn’t perhaps as intuitive as it could possibly be. I understand that this could be due to the fact that the platform is dripping in features, but with all that said, let’s face the facts – at some point, you will most likely need some help. So, let’s look at the options. PayKickStart does something that very few other software companies do, and that is to provide a FREE training course for their members. It is called the Power Seller Bootcamp and comprises of a 14-part video series. I really love this approach and definitely think that it will be a differentiating factor that software companies will have to consider when moving forward. Of course, we have to be realistic, it won’t solve ALL the problems, so of course, there have to be other available support options. There is a couple of choices that are directly available on your dashboard which is Live Chat and the knowledge base. Let’s explore the Knowledge Base. If you click on the question mark icon, on the toolbar, a new page will open up where you are able to search for the topic relating to your problem. Of course, it’s not perfect but generally works for most things. I view Live Chat as a very necessary backup option and was eager to test how quick PayKickStart’s chat agent’s response time was. I had used it before – remember when I couldn’t fathom how to manually add affiliates. The standard response time purports to be ‘a few hours,’ I, however, received a response in under 4 minutes!! Well, that’s it. I’m now nearing towards the end of this review, and I hope that it has given you an overall idea what PayKickStart has to offer. I’m guessing that the final and most important question is – Is it THE ONE, I mean is for YOU and your WEBSITE? So, if you are considering selling products online, then without a doubt you will need some form of shopping cart software to help you to collect payments. The question is though, is it necessarily something as powerful as PayKickStart? Well, that really depends on the type of business that you run. If you are marketing just one product and don’t have any interest whatsoever creating order bumps, upsells or even having affiliates to market it, then I think PayKickStart is definitely overload – I mean you could probably just use an embedded PayPal button on your site as an alternative. If, however, you are considering adding in all these types of conversion boosters to improve your checkout workflow, then I strongly suggest that you should checkout PayKickStart (once you have finished reading this review!!). I appreciate that at first glance the user interface does feel rather intimidating, however, once you have completed the training, won’t believe how powerful this platform really is. In my humble opinion, the bottom line is that PayKickstart is a reliable and high-quality affiliate program and shopping cart combination. There is an abundance of features, and from a user’s perspective, I can assure you that they are constantly looking for ways to improve and innovate. 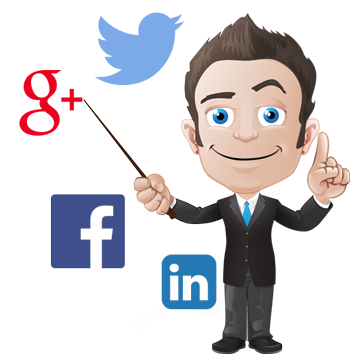 PayKickStart offers superb support options which are quick and efficient. So, if you’re looking for shopping cart software that includes a whole heap of integrations and an affiliate programme and does what it says, then look no further. Whether you choose to get PayKickStart now or not, I’d love you to share your thoughts in the comments section below.